The Linde customer support programme is aimed at keeping your equipment on the move with maximum uptime throughout the life of the equipment. With 10 regional Linde national network companies incorporating a total of 20 local customer support centres, we are never far away from your business. 1000 factory-trained service engineers operate from these centres and have local knowledge of the truck pools in their areas which is also reflected in the parts inventories held in their vans. Our aim is to respond to your needs as quickly as possible and to have high first-time-fix ratios. The performance and availability of your industrial trucks are essential in guaranteeing their productivity. Linde ensures maximum performance through proactive maintenance, quick repairs on-site and the provision of replacement trucks, where necessary. The safety of man and machine is the utmost priority. The manufacturer service allows companies to reduce their operational and legal risks. Linde service technicians are not just familiar with the maintenance requirements, but also the applicable legal provisions, and they provide seamless service documentation. The precise planning of all service measures by Linde's in-house staff and compliance with service intervals save time and money. 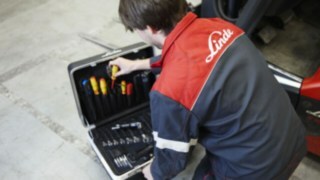 Linde service technicians also detect the initial signs of damage and know which preventative measures to take. This enables consequential damage to be reduced and unnecessary repairs to be avoided. The warranty is also retained and the resale value increases. 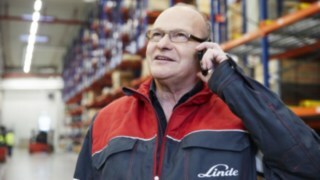 Sustainability is another important Linde service factor. Resource consumption is reduced thanks to efficiently controlled service and the longest possible servicing intervals. This benefits people, the environment, and companies alike. 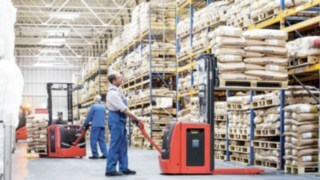 Linde Material Handling provides fast and reliable support. A call to one of our 10 regional networks based around the UK will aim to get one of our 1,000 factory trained engineers to you within four hours. Equipped with state of the art workshops, access to tyre replacement, computer aided diagnostics to identify faults on trucks quickly and overnight delivery of parts direct to engineers vans can help increase first time fix and truck uptime. Not only do we focus on maximising your truck up time we can modify your existing fleet to meet any changing needs in your operation/application. Ideally, industrial trucks should not require repairs in the first place. After all, apart from damage due to accidents, most repairs on warehouse handling equipment or forklift trucks are due to continuous use, i.e., due to entirely normal wear and tear. In particular, major repairs can be avoided, if wear is promptly detected, minimised, and prevented. Detect damage and leaks, check the brake system and the steering system, replace the hydraulic oil: As part of corresponding servicing contracts, Linde service technicians can promptly identify wear and take the necessary measures. The servicing intervals are defined by the manufacturer's specifications and are adapted to the specific truck in the event of an increased workload. 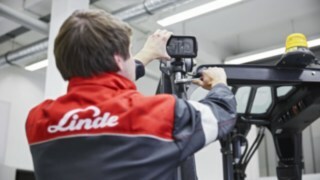 The Linde service team coordinates the servicing deadlines with the regular safety checks, such as emissions tests. This means that companies can also satisfy the legal requirements, all in a single step. Powerful control technology, as used in the automotive industry, also allows industrial trucks to be analysed quickly and reliably. In addition to regular maintenance, this also allows the Linde service technician to suggest preventative measures to avoid costs for unplanned failures and short-term repairs. Regular servicing ensures that all forklifts are operational for the long term, and that downtimes and repair costs are reduced. Anyone wanting to have as little to do with servicing and repairs as possible, while simultaneously wanting maximum truck availability, will want a full service contract. This lets you place all the necessary activities, from planning and coordination through to professional implementation and seamless documentation, into the professional hands of Linde service employees and highly qualified service technicians. Regardless of whether it relates to maintenance deadlines, repairs, the procurement of spare parts or safety checks, the full service contract comprehensively covers all the necessary maintenance measures. Companies can select the right contract from a range of variants depending on their requirements. Moreover, there are numerous options to customise the full service contract to suit specific customer wishes, such as defined response and repair times, permanent assignment of service technicians for on-site fleet management, and the management of the entire battery management system. Full service contracts are worthwhile irrespective of the number of industrial trucks in use. After all, seamless operation and the lowest possible internal expense for servicing and repairs lie at the heart of every efficient operation. Continuous servicing enables a significant reduction in costly repairs. However, if repairs do still arise, Linde effectively integrates their planning in the production process in advance and logically combines service jobs so that downtimes are kept to a minimum. This also allows regular servicing activities to be coordinated with the prescribed statutory checks, such as the FEM 4.004 check, which is a requirement throughout Europe. This, in turn, reduces downtimes and saves costs. 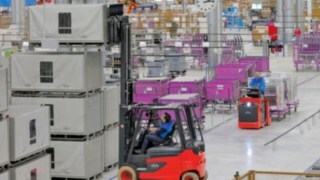 Every single forklift operator in a company can make a simple, yet important contribution to ensure seamless operation. After all, if operators check their industrial trucks before starting work, this not only improves safety, it also helps to maintain the optimal operating status of the trucks. 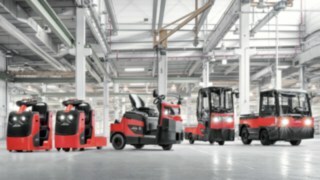 Here you can find an overview of all the necessary checks for electric forklifts and IC trucks. Trucks with LSP: make sure that correct attachment is selected in LSP. Check that the attachments are working correctly. Observe the manufacturer‘ s operating instructions.